FOSSCOMM (Free and Open Source Software Communities Meeting) is a Greek conference aiming at free-software and open-source enthusiasts, developers, and communities. The event is solely organized and ran by volunteers (usually university students, communities, Linux User Groups) and is taking place in a different city every year. The attendance is free and everyone is welcome to make a presentation or a workshop related to free and open source projects. I always try to attend this meeting when the dates and the place are convenient, as it is a great opportunity to meet old friends and hangout with geek people. This year’s Fosscomm2017 (website is in Greek) was held at the Harokopio University of Athens, during the weekend: 4-5th November 2017. I grabbed the opportunity to go and give a talk about Mesa 3D, a project where the Igalia’s graphics team makes several contributions and releases the last 5 years. My presentation was titled: “Hacking on Mesa 3D” and it was a short introductory talk about the OpenGL implementation, the OpenGL extension system, the GLSL compiler, the drivers and some of the development and debugging processes we use. To my surprise, my talk wasn’t the only one mentioning Igalia. 🙂 Dimitris Glynos, one of the Co-Founders of Census (and FOSSCOMM sponsor) gave the talk “FOSS is all we got: building a competitive IT skill set in Greece today” and mentioned us among other examples of companies that work successfully on open source projects. Among the other talks I’ve attended, I particularly liked the “Linux Metrics” workshop by Effie Mouzeli and Giorgos Kargiotakis (during FOSSCOMM day #1), that was aiming to teach users and developers how to use metrics tools to detect performance issues. It was so successful that they’ve been asked to re-run it the following day. Most of the other presentations and workshops, as well as the schedule, can be found here (for those who can understand greek): https://www.fosscomm.hua.gr/. 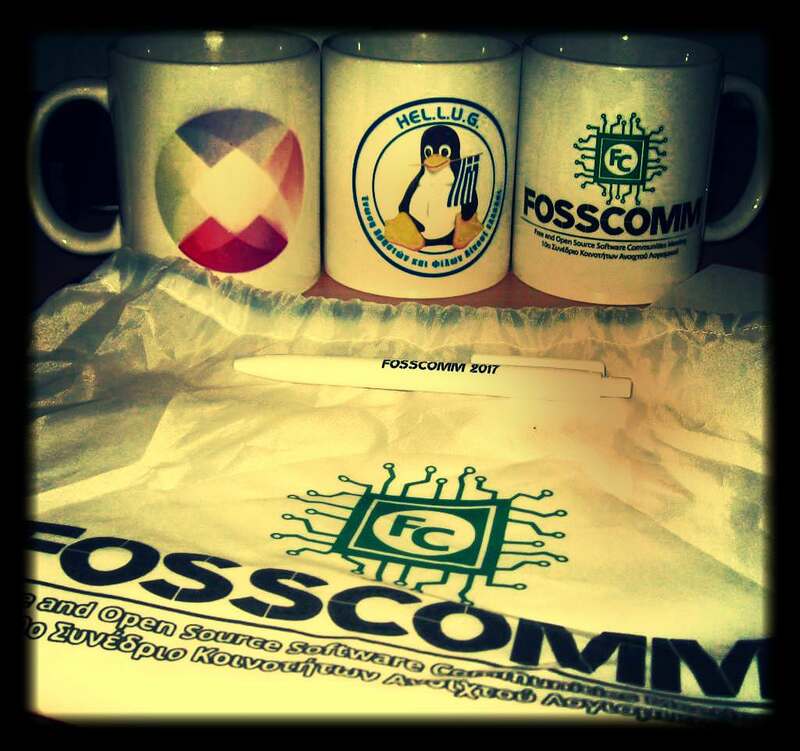 The FOSSCOMM organizers will soon edit the videos and upload them on a channel on YouTube. I’d like to thank the people who attended the presentation, the FOSSCOMM2017 organization team who did such a great job on preparing and hosting the event and of course Igalia that is giving me the opportunity to work on cool graphics stuff.